British Centre Company Advancing. Shakos, Cross Belts, Knapsacks. 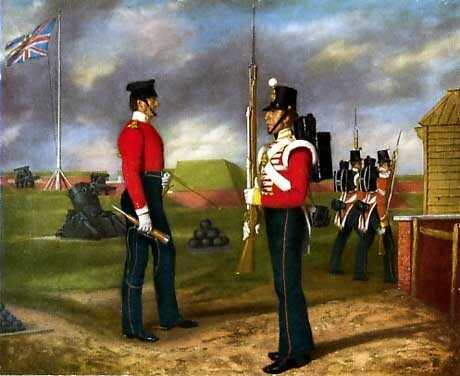 In 1854, many Regiments were still wearing older cross belts. These figures also have Knapsacks that were landed ashore six weeks after the main army.